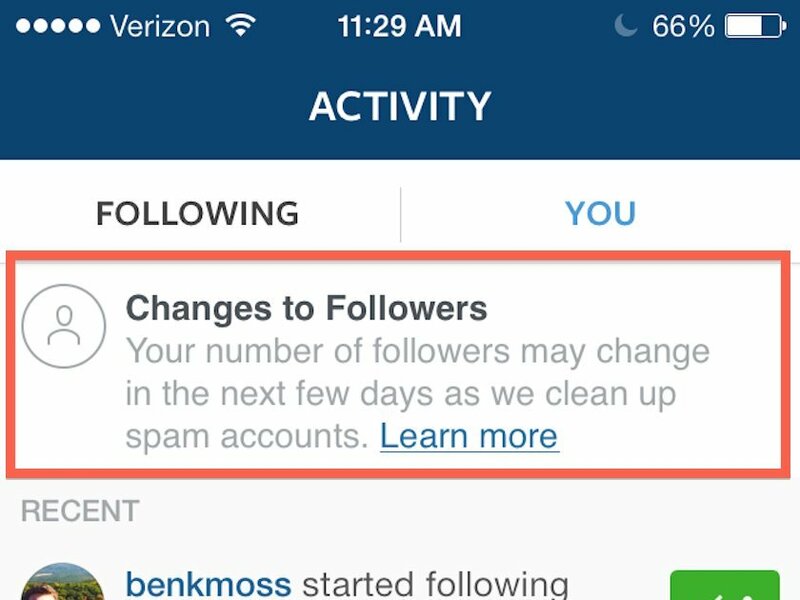 Instagram made the smart move to remove fake accounts, and it pissed people off. 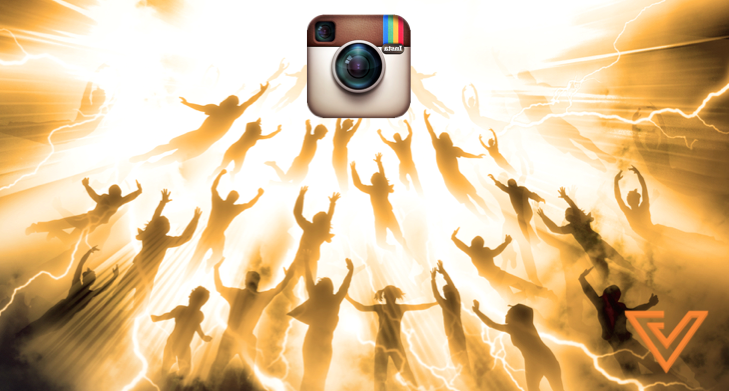 In an event that has been dubbed the ‘Instagram Rapture’, millions of fake accounts, or accounts that have not been accessed in a long time, have been deleted from the Instagram database. This move makes sense – these accounts are taking up needless space, and removing them frees up usernames and server loads. But for several Instagram celebrities, number is power. 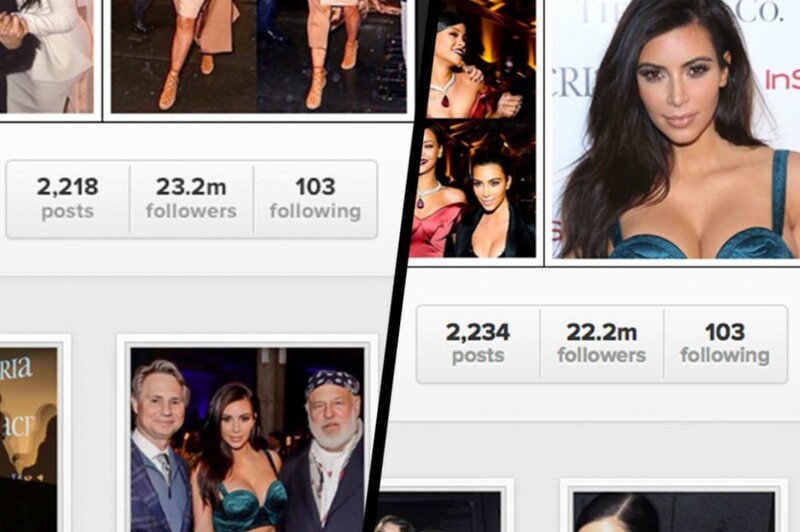 It doesn’t really matter how many of their followers are actual living people with eyeballs on their photos – what actually matters is the number next to their names that gives their power a value. And while their true followers haven’t change, their power has decreased. According to the Verge, Instagrammers like Rapper Tyga experienced a drop of followers from 5.5 million to 2.2 million. Ma$e deleted his account after his follows dropped from an impressive 1.6 million follows to a not-so-impressive 100,000. 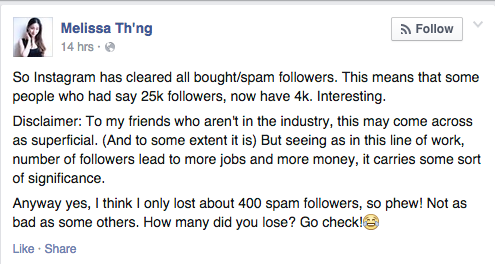 Malaysian model and emcee Melissa Th’ng also felt the pang, even though she only lost 400 out of her almost 9k followers. ‘Lonely’ singer Akon lost 56% of his followers! Spammers don’t do anything, but their presence generates power. Social media, and the internet in extension, is powered by traffic, and while people have found ways to jack the system by creating false traffic (spambots push out likes and comments like a merlion spouts water), people who gain power from this traffic close one eye to the possibility, for good reason. If you can’t tell, you don’t know, right? But honestly, should they be complaining? It’s not Instagram’s fault that their followers aren’t real, right?